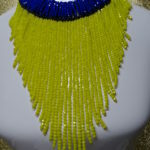 WHY BLEND IN, WHEN YOU WERE MEANT TO STAND OUT ?! 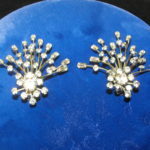 Two shooting stars just fell to earth in the form of this pair of classic 1950’s starburst earrings (or if you prefer comet trails). 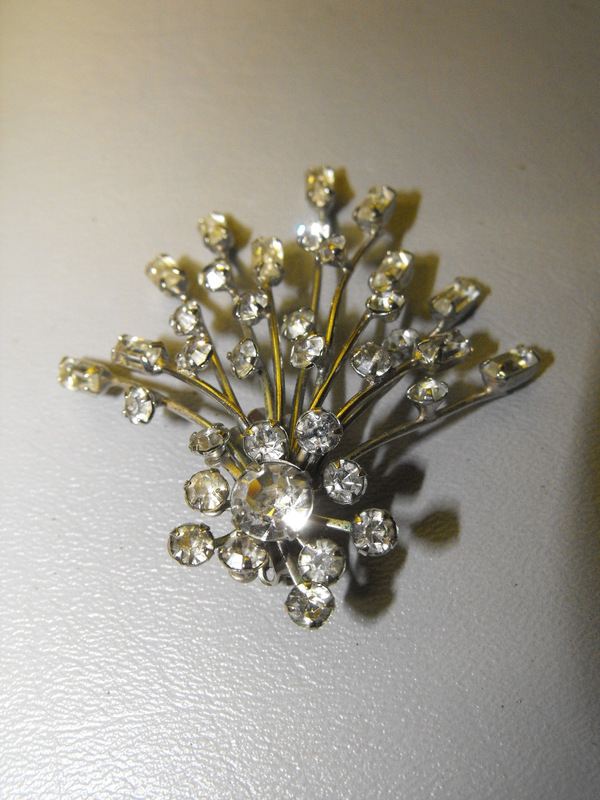 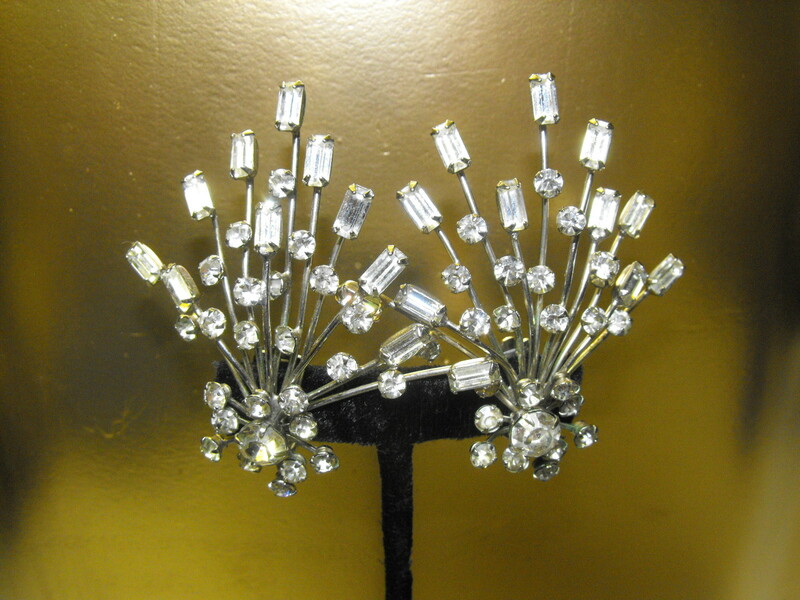 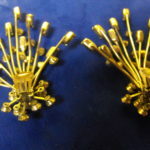 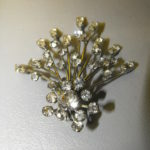 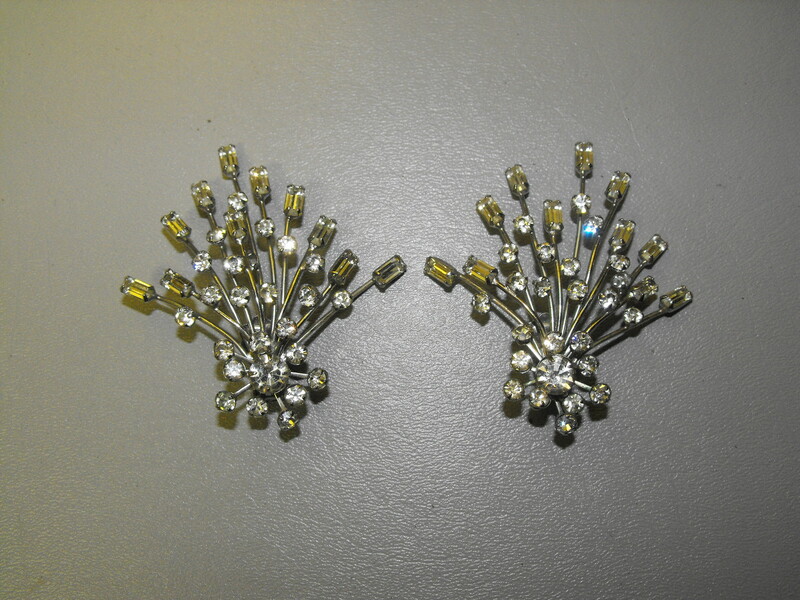 The earrings consist of foil backed rectangular and circular rhinestones all prong set. 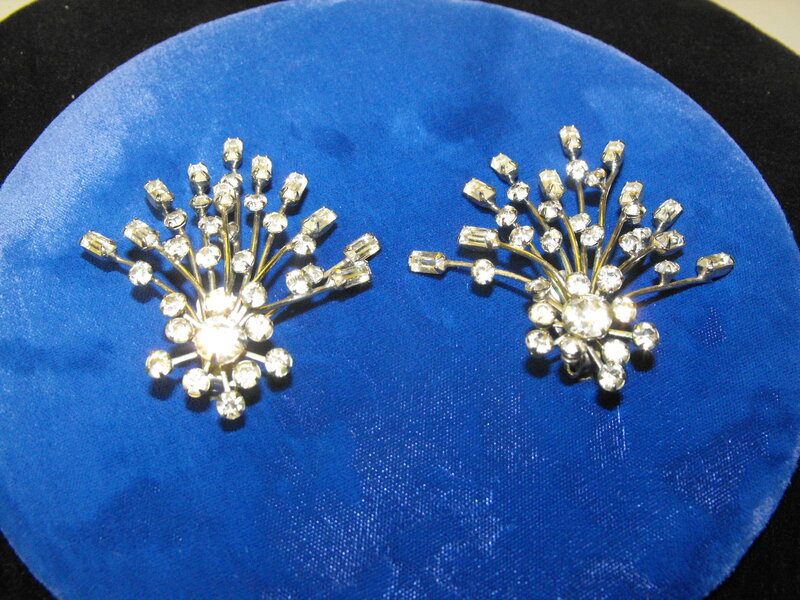 The earrings measure about 2 1/2″ at their widest point and about 3″ tall. 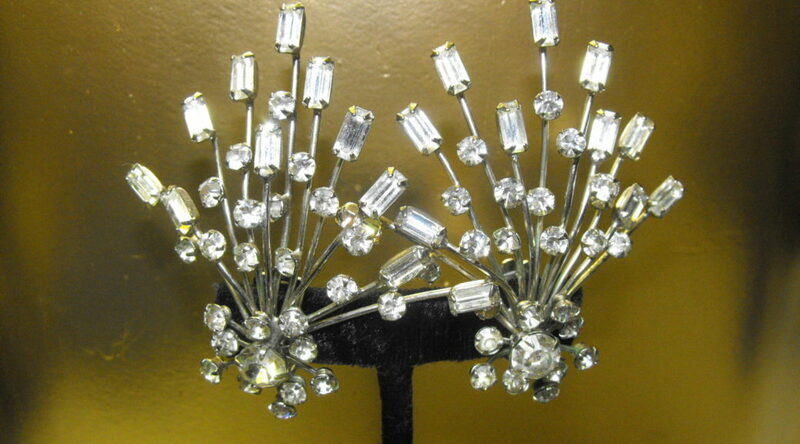 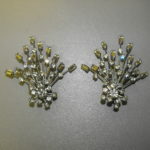 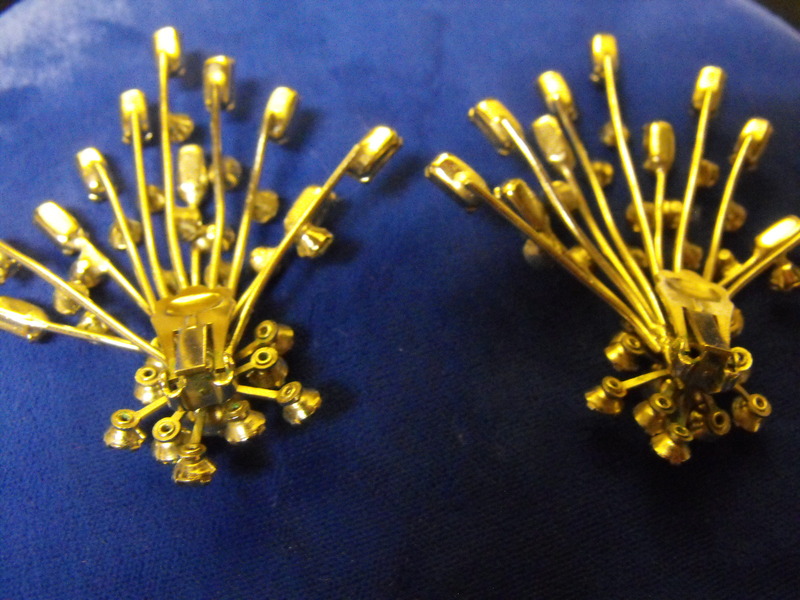 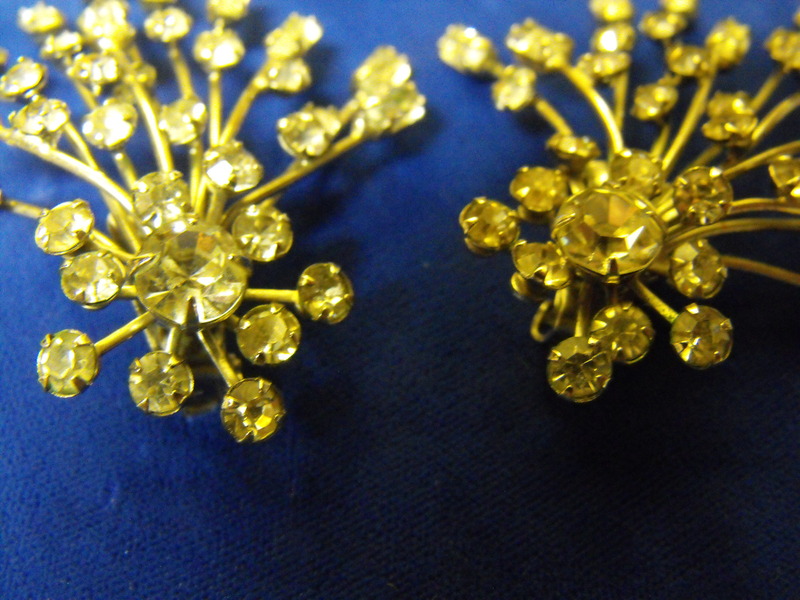 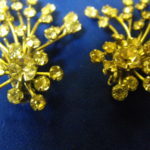 These earrings are a true 1950’s classic and are in remarkable condition. 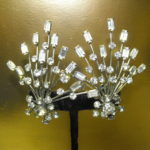 So, reaching for the stars couldn’t be easier !